We are often asked how does a song hit our list of Top Songs of the year. Our reply is we just know which ones should. In other words, we are moved by the song and it's subject matter. The entertainer gives life to the song so that it makes us remember a past memory. The song moves and inspires us. Most of all it's just a great song. A song, that nine times out of ten, never makes it to the radio. We begin with Dolly Parton. In 2009, Parton teamed up with Cracker Barrel to produce a Collector's Edition of her latest project Backwoods Barbie. The album opens with a strong, moving and upbeat song with "Better Get To Livin'." This song is often played at our office to get us going. Another great song that comes from this album is "Jesus And Gravity." This semi-Christian song contains a message of hope that brings a sense of fulfillment to your heart. The final song that comes from this album is entitled "Berry Pie." This is a traditional Dolly Parton song. She performs this as if she were sitting on the porch of her family home in the hills of Tennessee. We continue with the band Telluride. On their 2009 album, Four Square Miles, they included the song "Pencil Marks." This song is all about growing up and how the simple things like pencil marks on a wall back home mean more than most think. 2009, was full of legends and one legend comes to mind on our list. The legendary Doyal Lawson teams up with his band Quicksilver to release his latest project Lonely Street. This album featured many beautiful songs however it was "Monroe's Mandolin" that hit our list. This song brings us back in time when the Ryman was the king of performance halls. Can't you just hear the music coming from it's walls. Our list continues with several songs from Greg Hanna's self entitled debut album. The song that made us listen up was "It's A Man's Job." This is the perfect country music song, in every way! One that is sure to stay in your mind for hours. The second song from this album is "Hillbilly Heartattack." Another great country rock song. The final song to be added to our list from this album is "Song In My Head." This song is a song about love and is simply incredible! You may wonder about our next artist. Tammy Cochran's album, 30 Something And Single, hit our list of Top Worst albums of 2009. However, one song from that album has hit this list. Of course, one song does not justify a good album. The song is "Half The World Away (Shawn's Song)." This song speaks of adopting a child from another country. Where as Mike Farris and The Roseland Rhythm Revue featured a bonus track on their album Shout! Live. Together they performed a beautiful rendition of "Green Green Grass of Home." The Greencards released a beautiful album in 2009 with Fascination. From this album we took two songs. The first, "Three Four Time," is a beautiful ballad of love. The second, "Into The Blue," is a blues style ballad of heart break. Mark Wayne Glasmire released his first single in 2009 with "Everything Is Gonna Be Alright." A beautiful ballad that speaks about today's tough economic times. It's a song that can certainly be an anthem for all of us who are suffering through today's economic society. Daryle Singletary released a new album in 2009 with Rockin' In The Country. From this incredible album we take two songs. The first, "That Why God Made Me," is a beautiful ballad of growing up in love with someone. The second song is "Real Estate Hands." A beautiful and pure country ballad of heartache. The last song we took from this album was "She Sure Looks Good In Black." A beautiful country ballad. In 2009, several artists paid tribute to our soldiers in song. The legendary Ray Stevens was one of these artists with his release of "Thank You." This powerful song reminds us that we need to say 'thank you' to our soldiers rather than protest against them. Where as songwriter Lisa Carver recorded "Bullets." A song about what a bullet would see if it could talk. Where as new comer Johnny Bulford released "Remember The Brave." A song about a man who fought in war and gave the ultimate sacrifice, his life. American songs are always popular and many were released in 2009. Including Justin Moore's "Good Ole American Way." Southern Rock group Lynyrd Skynyrd released their latest album, God & Guns, in 2009. This incredible album featured twelve great songs. They even paid tribute to America in "That Ain't My America." Leave it to Skynyrd to say it like it is. From this album we took "Simple Life." A song that reminds us of what life used to be like in the simple life of yesterday. It's not Skynyrd without a song about the south. We found that in a great song with "Southern Ways." There were so many songs on this incredible album that it was hard to choose which ones should end up on this list. Skynyrd closed the album out with "Gifted Hands," another song added to our list. In this song, the group sings about Jesus. This is one album in 2009, that we highly recommend. You don't want to miss out on this one! New comer Matt Gary inspired us with his single "The Days You Live For." Where as the legendary Michael Martin Murphy brought us back in time with "Cherokee Fiddle" and "Carolina In The Pines." Cledus T. Judd entertained us this year with his new album Polyrically Uncorrect. From this album we took a fun ballad called "Garth Must Be Busy" featuring Brooks and Dunn. What would our list be without a Christmas song or two. Cledus recorded our friend Brian Beathard's song "Dang It, I'm Vixen." Justin Moore hit our list again with "Small Town USA." A beautiful ballad about growing up in a small town. 2009 was good to Jake Owen after he released his latest album, Easy Does It. We took several songs from this incredible album. Including "Green Bananas," a heartfelt but, fun song about living out your last days. "Nothin' Grows In Shadows," was another song that we pulled from this album to add to our list. This is a great song filled with lessons we all need to hear and follow. The last song we pulled from this album is "Eight Second Ride." This is a great country rock song that uses bull riding as an example of making love. Jack Ingram made our list with songs from his 2009 album Big Dreams & High Hopes. From this album we added to our list the title track. One of the best songs on our list comes from this album, "King of Wasted Time." You have to listen to this one, words can not describe it. Then again we also added the ever popular "That's A Man." Another great song that everyone needs to hear. Several artists signed with Cracker Barrel this past year. George Jones was one. From his A Collection of My Best Recollection: George's most memorable hits comes "I Really Don't Want To Know." A heartfelt ballad of heartache. Mr. Jones recorded an old Hank Williams song, "I'm A Long Gone Daddy." One of the best vocal collaborations for 2009 was Darryl Worley featuring Mel Tillis, Bill Anderson and John Anderson in "Don't Show Up (If You Can't Get Down)." This song came from his 2009 album Sounds Like Life. Another song that we took from this album is "You Never Know." A song that reminds us that we should never take anyone for granted. At the end of 2008, eleven country music entertainers came together to record an album, We Are Enterprise, to raise funds to help rebuild Enterprise High School that was destroyed in a tornado. This album was reviewed in 2009, therefore we took several songs and added them to our ever growing list of Top Songs of 2009. Songs include Clint Black's "Someday," a song that inspires the listener. Darryl Worley adds his "Katie's Song," a beautiful ballad about dieing young. Where as Richie McDonald sings "God's Still In America," a beautiful and powerful song of the strength that is found in America, even after devastation. This past year we even heard from artists that we haven't heard from in several years. Including The Oak Ridge Boys with their new album The Boys Are Back. Granted the rest of the album was not as stunning as the Oaks are known for. We did, however, pull one song from it and added it to our list. "Mama's Table," is a heartfelt ballad that the Oak Ridge Boys sing with such raw emotion, that it brings this song directly to life. Simply beautiful. Another legendary artist that we heard from in 2009 was Reba McEntire. Reba teamed up with The Valory Music Company to record her latest album, Keep On Loving You. Granted, Reba is keeping up with the big dogs of today's country music, however, it doesn't justify her lack of creativity. We only found one song on this album of thirteen that we could add to our list, and we even question that. "But Why" reminded us of the days when Reba was at her peak. The same went with Brad Paisley's latest work, American Saturday Night. Personally, we believe that Brad and Reba need to take time off to re-kindle their creative juices. From Brad's album we pulled the title track. We also pulled the song "Water." In this song, Brad talks about the important memories that are associated with water. Another group that was teamed up with Cracker Barrel was Montgomery Gentry. Their project with Cracker Barrel, For Our Heroes helped to bring awareness and proceeds to The Wounded Warrior Project (woundedwarriorproject.org). From this incredible album we took the re-release of "That's Something To be Proud Of." A truly powerful song! The other song we took was "Tattoos & Scars." Written by Tony Lane, this is a beautiful song that really tells a very unique story. Another artist that surprised us this year was Bryan Ragsdale. After reviewing his latest work Where Cowpokes Grow, Bryan sent us a single called "What Heroes Do." This is a beautiful song that can be heard on our website, under the Memorial Day Honors page. Every country music artist, in their career, will re-record a previously recorded song. It's become all to popular in the music industry. However, when we received this next album, we were dumb founded at it's true beauty. In 2009, Wynonna Judd released her latest album Sing: Chapter I. The album consisted of twelve previously released songs that were recorded by other artists. But, what stunned us more was these new versions were totally outstanding to the point that many were better than the originals. We went around and around as to decide which songs should make this list. Many of us, wanted the entire album. But, then again we felt it wasn't right. So, we all decided that if we were to vote for an album to win Album of The Year Award - well it would definitely be this one. From this album we pulled the three best songs. Songs that include "That's How Rhythm Was Born," a beautiful old time fun song. Our second selection was "Women Be Wise." This song is a blues style song straight from Memphis. Our final selection from this extraordinary album is the title track. "Sing" reminds us all that music is a part of our daily lives. Wynonna gives a commanding performance in this one! We now come to our Top 5 songs on our list of Top Country Music Songs of 2009. All of the songs on this list were nominated for The 2010 Spirit Award's Song of The Year. During a ten day period, fans of country music were allowed to vote for their favorite songs. Coming in at Number 5, is Craig Monday's "Heaven Is A Small Town," a beautiful ballad that explains what Heaven is like. Coming in at Number 4, is Mason Douglas's "Home Free," another great song about a soldier who fights for his / her right to be free. Coming in at Number 3, is another great song by Bryan Ragsdale with "Modern Day Mountain Man." This song as well as Bryan reminds us of the late John Denver. Bryan performs with such freedom in his vocals, it's almost catchy. Our Top two songs come from the same artist, Brandon Rickman. 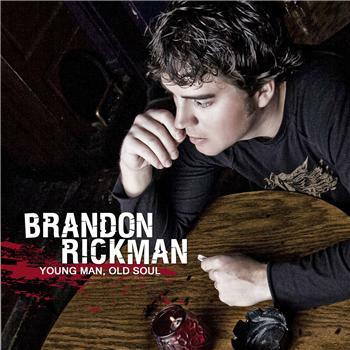 In 2009, Rickman released his first solo album, Young Man, Old Soul, on Rural Rhythm Records. Coming in at Number 2, is his "I Bought Her A Dog." A fun song about having a child, who is a dog. This brings us to the winner of the Spirit Award's Song of The Year Award (drum roll, please) "Wearin' Her Knees Out Over Me" by Brandon Rickman! "Wow, I was really surprised and very honored to learn of the Spirit Award Song of The Year by Strictly Country for "Wearin'Her Knees Out Over Me. "™ " states Brandon Rickman. "I wrote this song with Jerry Salley and Justin David - we are all thrilled with this award! It is an honor to be included with such a who's who list in country music!" "Wearing Her Knees Out Over Me"